Yesterday morning: this happened! 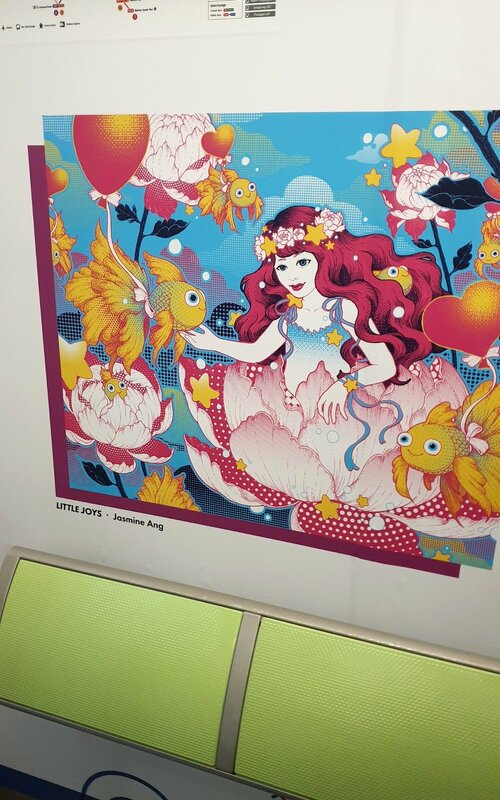 We got to see our art in the trains! In Dec last year, a group of us did art workshops with various social service organisations to make some collaborative art pieces. Our team worked with Cerebral Palsy Alliance Singapore on the themes of Joy and Happiness... the things that bring us joy and make us happy. It was a blast seeing our beneficiaries again. 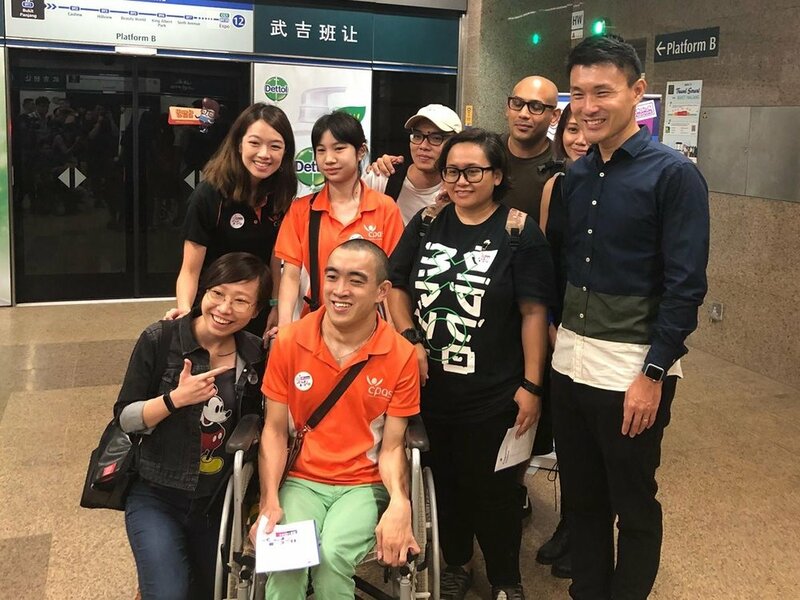 Zoe and Bingyao from Cerebral Palsy Alliance Singapore came for the opening event and were so thrilled to see their art on the station doors and train floors and walls. Here’s our team’s art in the train! Inspired by the beautiful artworks of our workshop participants from Cerebral Palsy Alliance Singapore. Thank you to all the good people at National Arts Council Singapore, Noise Local Motif 2018, Noise Singapore, Band of Doodlers, Land Transport Authority (LTA) for making this project happen! This moving exhibition will be ongoing for the next 8 weeks til the mid of May. You can see the art on 2 trains plying the Downtown Line. (: Let me know if you spot it! We're on the news! 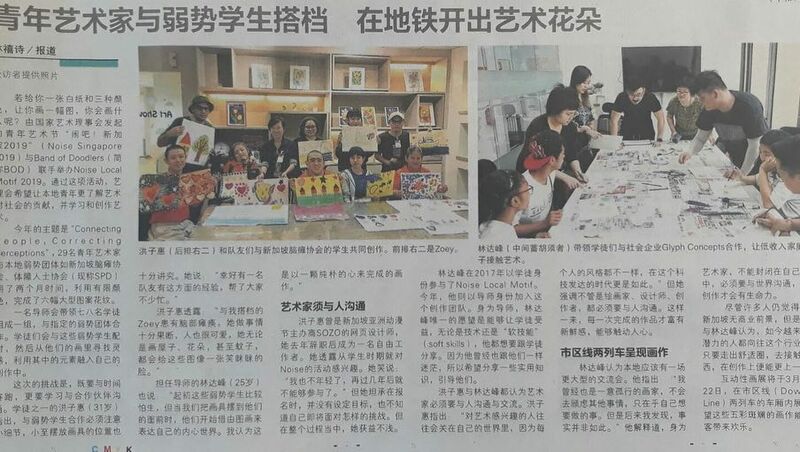 This project got featured on a couple of articles on local Chinese newspaper Lianhe Zaobao 联合早报 and Lianhe Wanbao 联合晚报, in the last few days. So thrilled to be part of Noise Local Motif 2018. Lots of good effort put in by all the artists, mentors and Band of Doodlers organizing committee.